There is a huge list of video games that is going to hit the market as we move forward in the year 2017. And WWE 2K18 is one of those games which will certainly grab the attention of the gamers across the continents in different parts of the world. There has been a strong fanbase of these kinds of games which remains loyal to the game and get hold of a copy of it whenever it is available on the market. So there isn’t any chance that WWE 2K18 will fail to impress the gamers across the world. In fact, what remains to be noticed is the fact that how well it performs when it comes out later this year. WWE 2k18 is that kind of a game that undergoes changes quite frequently, and that has to do a lot with the changes that take place in real life incidents that take place inside the ring on the weekly episodes as well as the PPVs that are organized by the authority of WWE. 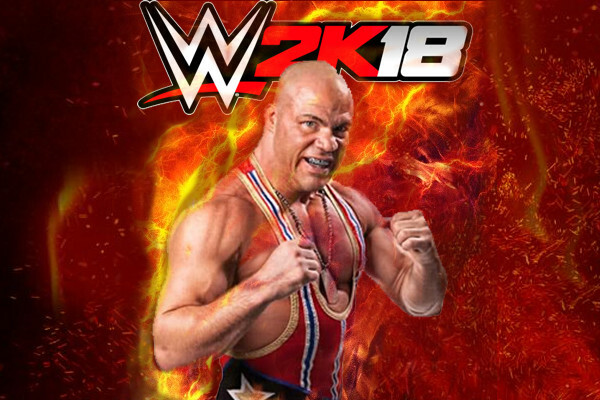 Taking the cue from that, it will be nothing surprising to state that there will be a number of notable changes that we might see when WWE 2K18 finally surfaces. And here we are with an attempt to take a look at the likely changes that are going to take place in the upcoming edition of the game in the WWE 2K series developed by 2K Games. There are going to be a number of omissions as far as the roster of the WWE 2K18 is concerned. The big name that is going to be there in the latest edition of the game is the Mexican wrestler Alberto Del Rio. He has been suspended for the wellness policy violation which has eventually seen him getting ousted from the scenes in WWE. Besides Alberto Del Rio, one name that WWE 2k18 is going to miss is Lita. She has been one of the stalwarts as far as the history of WWE is concerned. With Lita being taken off by WWE, there is absolutely no chance that we are going to see her featuring in the roster of the game WWE 2K18. Also, Booker T is going to be an omission in the roster of the upcoming edition of the game for he has announced his retirement from the show in August last year. And the exclusion of these stars will surely not come as a surprise for all those who keep a close eye on the developments in WWE. Other than that, Stardust is also going to be a miss in the roster of WWE 2K18 owing to a mutual snap in the contract the actual reason of which has remained unknown. A number of days remain before we can come across the latest edition of the game WWE 2K18. Before that, nothing can be confirmed. For the time being these are the omissions that are definitely going to take place. Whether there is any further change to be made to the roster remains to be seen, and we have to wait for the game to be put on sale.